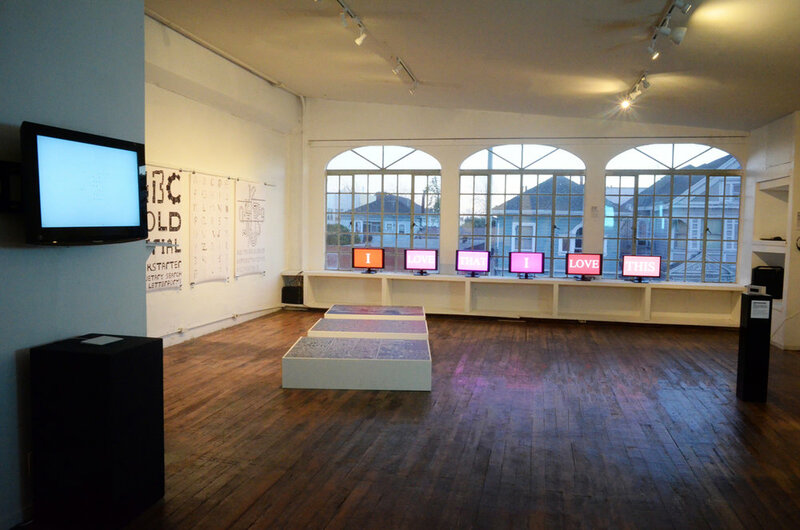 Spanning 1 month, TLDR (Too Long, Didn’t Read) is the culmination of an art exhibition, digital arts workshops and artist talks investigating the influence of digital culture on the evolution of language and text. As digital and web technologies are transforming the ways we communicate, produce and consume informations, new cultural identities have emerged, symbolized by new idioms and gimmicks in written languages. Written language (the medium) has a crucial role as mediator between what is real and the subjective “readings” we do of space; in other words, the way we know the world. While importance is emphasized in the creative process of technological logic and precision, at the core, what is initially invested and also finally created, is the essence of humanism. The work presented in TLDR investigates how new forms and uses of languages, text and technologies are transforming common qualities of humanism such as emotions, mutual misunderstandings, and desires. The exhibition points at the role of machine processing in the formation of two practices of language: The first practice being instructive coding and the latter being semantics. Artistic authorship comes twofold – first in the process of creating and secondly in the process of conveying. With the objective to exist as a platform for artistic experience and discussion as well as education and production, TLDR (Too Long, Didn’t Read) will unfold through 3 modules: An exhibition, an evening of conversation with artists, and a workshop series.